Bait-Tech has shown once again that not only do they produce THE best quality bait but the innovation to make a product even better! Grade A sweetcorn, the biggest and best available now in 3 great flavours and colours: Vibrant Orange, Tutti Frutti, Deep Red, Strawberry and Buttery Yellow Scopex. Cooked fresh without preservatives, these handy cans take hook baits and feeding to a new era! 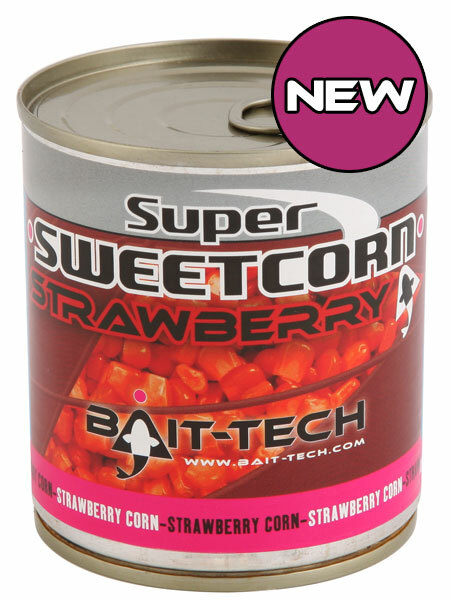 The powerful flavours and strong colours demand attention from the most wary of fish and in true sweetcorn style excel at any time of the year!